A coolant leak can be really hard to find. In many cases, the coolant can drip down on a hot part of the engine and evaporate before you can see it. I get a lot of questions about people that can’t locate their coolant leak. The process to find a coolant leak is really easy if you know how to do and have the right tools. I’m working as a diagnostic technician and have diagnosed and fixed thousands of coolant leaks. 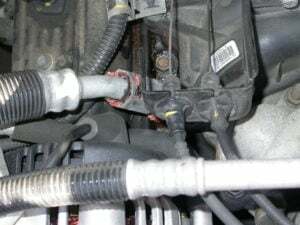 The good part of this is that I’m going to share my troubleshooting secrets with you about how to find coolant leaks the easiest and fastest way. First, we have to find the coolant leak of course. As I mentioned before, sometimes the coolant drips down on a hot part of the engine and evaporates and you will have a hard time finding the leak. There could also be an internal leak that is leaking into the engine. The first step in our troubleshooting is to find out if it is an internal or external leak. When the engine is cold, check around and under the engine with a flashlight to check if you can see any signs of new or old coolant leaks. 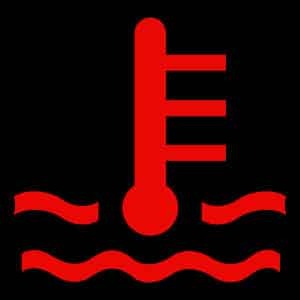 The best way is to check when the engine is cold because the coolant won’t evaporate and the metal expands when the engine is hot, which could seal the leakage when hot. If you can’t find any leaks, the best way to find a coolant leak is to use a tool that pressurizes the coolant system when the coolant is cold. A tool that I can recommend for this task is the Stant Cooling System AndPressure Cap Tester Link to Amazon . In all my troubleshooting of coolant leaks, I use a tool like this. Normally I let the engine get cold and then pressurize the system to 2 bar. Let it sit for an hour and check the engine again. If I really can’t find any leaks and the pressure is still at 2 bar, I let it sit for 24 hours. If I can’t find any external leaks or drop in pressure after this time, there is probably not an external leak. Make sure the tool is fitting your vehicle before buying. If you can’t afford one of these tools you could always ask a mechanic shop if you could lend one of them. It’s a really common tool and almost every workshop do have one. You should also remember that the coolant system is going into the car’s cabin and it could leak from the heater core. Check the floor mat and see if it’s dry or not. You can often diagnose a leak from the heater core by the smell inside the car. Coolant smells sweet and it makes everything sticky. If your windows are fogging, it could be because of a heater core leak. If you really can’t find any leak in the engine bay or inside the car, we have to check if there is an internal leak of the engine. It’s now time to check for any internal engine leaks. Internal engine leaks do often going through the engine and get evaporated through the exhaust system. That creates a white sweet smoke. If you have noticed an increased amount of white smoke from the exhaust system, the problem is probably there. If your car does have an increase of white smoke and you have to fill the coolant often and can’t find any external leaks, you have to go into some deeper troubleshooting. I’m not going to write about how to troubleshoot these problems in depth now, because the article would get transformed into an E-book instead. If are interested in how to troubleshoot head gaskets etc, check out our article Overheating fix. A fast answer to this is to use the tool mentioned before. Put pressure to 2 bar to it and remove the spark plugs and remove intake/exhaust manifold to search for leaks from cracks. Check the engine oil. If the engine oil is light-brown, it’s most likely coolant into it and you should not drive the car before the problem is fixed. This could be a very time & money consuming troubleshooting and if you are not sure of how to do it, get help from a good mechanic. Should I add a radiator coolant leak repair fluid into my coolant system? I do not recommend it because it can clog the heater core and radiator. Sure it can fix leaks, but you have to make sure to use a really good coolant leak repair fluid. I have heard horror stories about these fluids that clogged a lot of parts in the coolant systems and made the car overheat. If you want to use one, I can recommend the K-Seal ST5501 Permanent Coolant Leak Repair. It is a really good fluid for these tasks, I have actually used it myself in some of my own cars. But there is still a risk that you will clog anything up if it’s in bad shape from the beginning. Can I add a coolant leak UV dye and check it with a UV light to find the leak? Yes, but I can’t really see the benefits of doing it. Evaporated coolant do often leave signs after it without UV inside and I do not need a UV light to see that. You should also be careful about what you put into your coolant, you do not want something that is tearing on the gaskets and the water pump. If you are still interested in this, you can check it out on Amazon: FJC 4926 Universal Radiator Coolant Dye – 1 oz. It is not a method that I can recommend and you do it at your own risk. My leak is coming from the water pump that is driven by the timing belt, do I have to replace the belt also? You do not have to do it. But in the most cases to replace the timing belt is a difficult and time-consuming job, so why not replace the belt at the same time? If you want to learn more about timing belts or how to replace them, you can check out our other article Timing Belt Guide. I can’t find any internal or external leak, but I still have to fill coolant sometimes, what to do? Some engines can consume coolant slowly and you won’t notice any white smoke. It all is depending on how much you have to fill. Coolant does not disappear automatically, there have to be an internal or external leak anywhere, even if it’s a really small one. If it’s a really small one that you can’t find you could try to add some of the stop-leak fluid that I mentioned before. If you have found your leak, it’s now time to repair it. I think that the repair procedure you have to figure out yourself. If not check your Repair/service manual for an instruction of how to replace the damaged part/gasket. Always make your repairs by the book and make sure to put new gaskets on parts that you have been removing. The critical part of doing any repairs to the cooling system is the bleeding afterwards. It could be really difficult to get all the air bubbles out of the cooling system. If you have not get out all the air bubbles and then go for a ride, your car can overheat and damage parts inside your vehicle ( Not funny if you replaced your head gasket and you have to do it again ). But don’t worry, I’ve written a detailed guide on how to Bleed your Coolant system, the easiest and fastest way. If you repair did go successfully, it’s now time to test your repair. The best way is to first take the car for a long drive. Be careful about the coolant temperature and make sure that you do not see any temperature spikes or overheating. After the test-drive check on all places around the repair for any leaks again. I do also recommend to use the pressure tool and put pressure on the coolant system for 24 hours here, to make sure to 100% that there are no leaks. Try the climate control in the car to make sure the heating is working properly. By now, I hope your troubleshooting and repair went well and you learned a lot of how to fix coolant leaks. 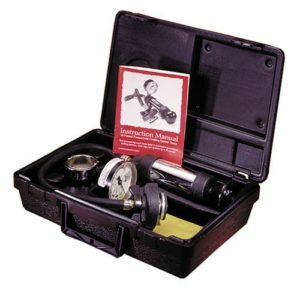 The pressure tool will make your troubleshooting a lot easier for any coolant leak tasks. Make sure that you got all the air out from the system after any repairs on the coolant system. If you do still have any questions or want to tell us how your repair went, register and leave a comment down below. I do answer questions daily and you will get a fast answer. 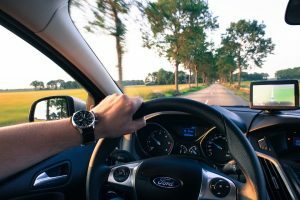 If you liked this article and want to learn more about cars, check out our other car articles at our blog.